I had a realization at work about how my brain works. Actually, it was nothing new, but a different perspective. And it hit me. Hard. And it’s good as I have recognized why I sometimes get overwhelmed. And it also helped me appreciate even more training and competing in the sport of triathlon. What I learned is that I love big projects. I can work on them and be totally happy: orchestrating and organizing things, tracking items and tasks, watching things develop, and in general – making progress, even if slowly. But, if you give me the same number of tasks, but all those tasks are unrelated, I quickly get overwhelmed. Especially if they all come in near each other. I lose track of priority – or really – since they are often requests from others, to me they all have the same priority: now. Wait. 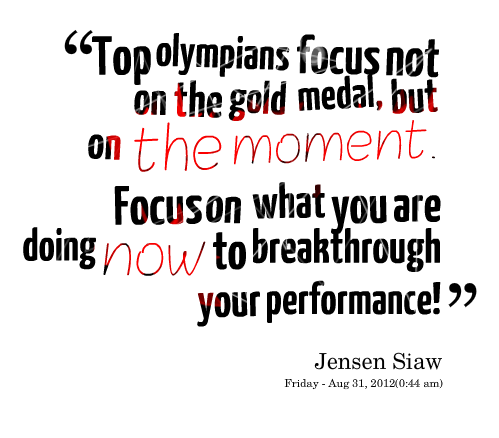 Not “now” but “NOW”. It’s not a matter of organization, it’s that I feel like everything must be done NOW. Even if there is enough time to do everything if I just take it one task at a time, I start to get very anxious – fear takes hold that I can’t get it all done NOW. I get over-whelmed. I stop. I shut down. Time Management Mind Map. Problems ensue when gauging priorities becomes difficult. It is this thought – this love of big projects and how my brain seems to be filing and handling things that made me realize why I love endurance events (Ironman anyone?). Yes – there are a lot of logistics to the one event. But like in a big project, they are all part of one project: sequential and building to an end. When training for long, endurance events, training builds naturally. The amount of overall work is no less than if I were doing multiple, shorter races with goals for those. But….how I register it all is easier if it is wrapped up in to one big package versus several, unrelated (to me) events. My mind is happy processing it all: tracking things; watching the progress; and building to a single, big goal. To go to many smaller races (even if there is a seasonal goal for those shorter races) is like many people coming at me with tasks – I get overwhelmed. I lose focus. Even if it is the same number of events building to that one big goal) to build that one event. In my brain, there is that single focus that makes all the exact same running around and work to be done…manageable. And there is another piece that comes in to play here. I often have a very hard time sitting and focusing for a long time on a project – even tasks I enjoy. I start to get restless. I walk around a little bit every hour or so. Or else I get distracted by all those sparkly things on the internet. Amazon Prime is great but…oh the possibilities! And I love my Kindle with the immediate access to the dictionary but I turn off the connectivity so I don’t start browsing away on the internet instead of reading. But, if you put me in a pool, on a bike, or out running things change. Distractions no longer exist. All that exists is what I am doing right then. My brain is doesn’t yell at me about anything else in life. The internet doesn’t matter. I don’t check my email. There are no chores at home or work tasks dangling. All I have to do is listen to my body and remember to fuel. The only task is what I am doing at that moment. That’s it. For a person that has a hard time focusing and settling down, and gets overwhelmed with many tasks coming in in rapid succession to have somewhere to go/something to do where my brain is quiet and totally focused on the present is a refuge. So – I will chalk all of this up to another reason why I love what I get to do, and why, when I do it, I want to be strong. Because, if you start to fade, thoughts creep in. And I lose my focus. It all is another reason on why I am grateful for what I get to do. And that I really do love being out there training and racing.